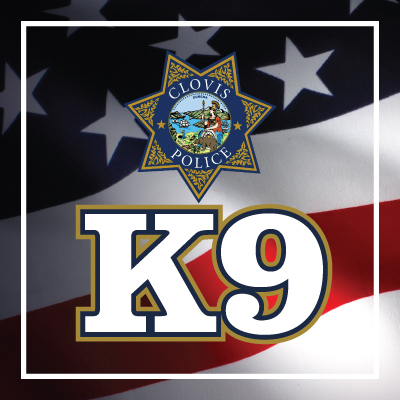 The Clovis Police Foundation has set a fundraising goal for the K-9 program of $75,000 to assist in purchasing, training, and equipping our K-9 Unit with 3 Police Service Dogs. Reaching that goal would allow the Clovis Police K-9 Unit to become fully staffed with 5 Patrol Dogs and “Murphy” as the narcotics dog. The Patrol Trained Dogs would be assigned to the Patrol Division to assist with the protection of officers and citizens, searching for people and objects, and performing demonstrations at community events. Funds donated to the restoration of the K-9 Unit will be used exclusively for this program.